The RECOVER Initiative is a global effort in standardizing how veterinary CPR is performed around the world. Recent activities have occurred in areas such as Japan, Italy (with the EVECC Congress), and New Zealand. 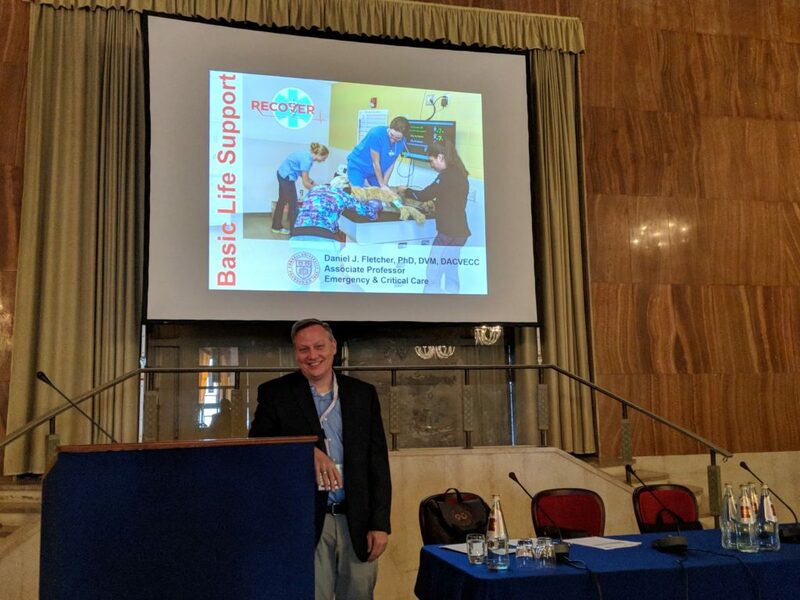 Dr. Daniel Fletcher spoke as a keynote lecturer at the European Veterinary Emergency and Critical Care Congress covering Basic Life Support, Advanced Life Support and Post-CPA Care, and conducted a CPR training workshop using CPR scenarios programmed to be used with his high fidelity simulator. We are looking forward to further collaboration within the European countries to spread the certification process. 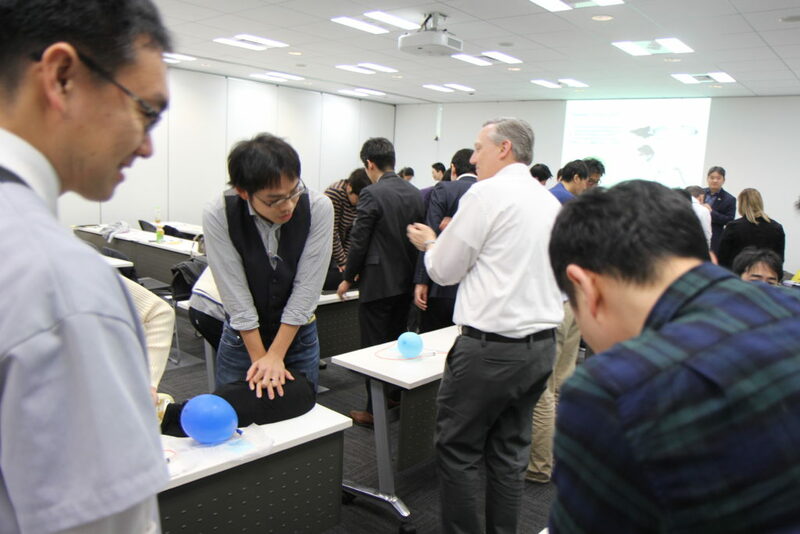 An instructor certification session followed by a series of Rescuer certification sessions were held in Osaka and Tokyo, Japan earlier this year resulting in ~180 RECOVER Certified Rescuers. Dr. Daniel Fletcher, Dr. Sabrina Hohne, Dr. Yu Ueda, and Ken Yagi participated in a CPR marathon week in coordination with Dr. Shouji Sato, Dr. Arai Gen, and their colleagues. This pilot attempt should help us formulate how the certification process can be established in all countries around the world. 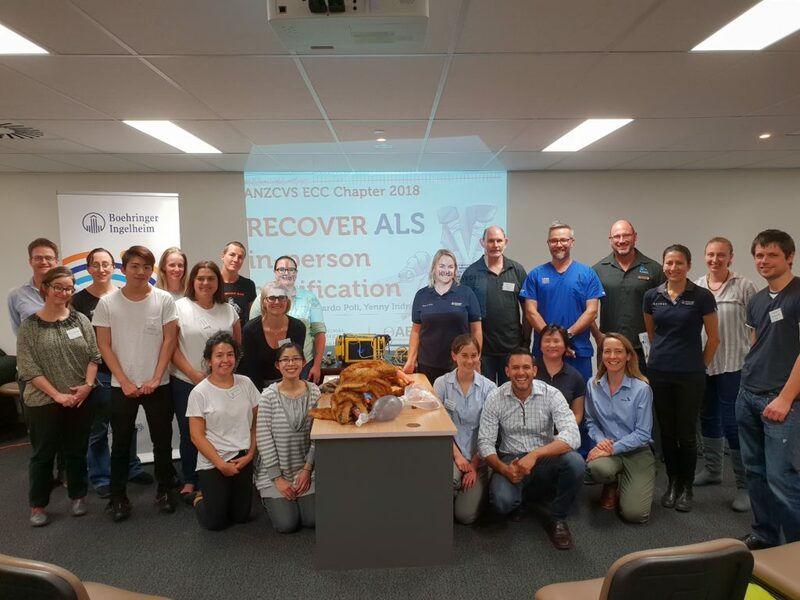 IVECCS CPR Battle 2018… Supported by RECOVER!